Yesterday I spent some time playing around with the shelves in our kitchen, attempting to add a little Christmas vibe to them. It's super simple which was my goal. I brought out a few pieces of my crystal collection and arranged them on the lower shelf. 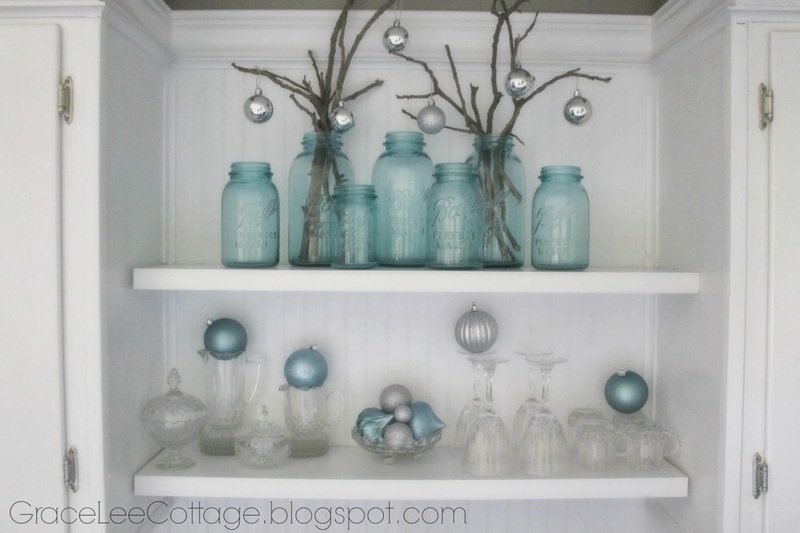 The top shelf is styled with a few of my antique blue mason jars. I tossed in a few twigs from outside for a little texture. Next I scattered around some ornaments that I already had and boom...done! Simple Christmas decor using what I already had! Hey Megan! Thanks so much. I felt the same way about open shelving but I like to switch things around pretty often so it's not too bad to clean. 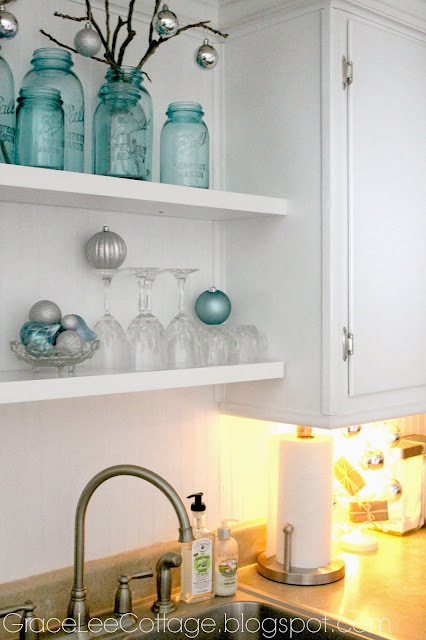 I mostly use the shelves for things I like to display rather than our every day dishes. Have a great weekend!! 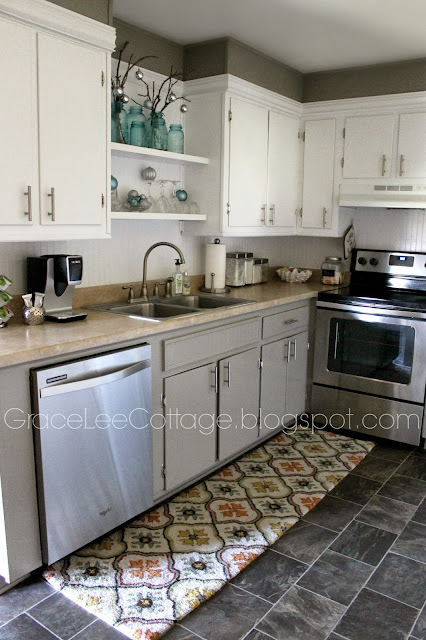 Your display is absolutely gorgeous! The colors and forms are just perfect in the vignette! 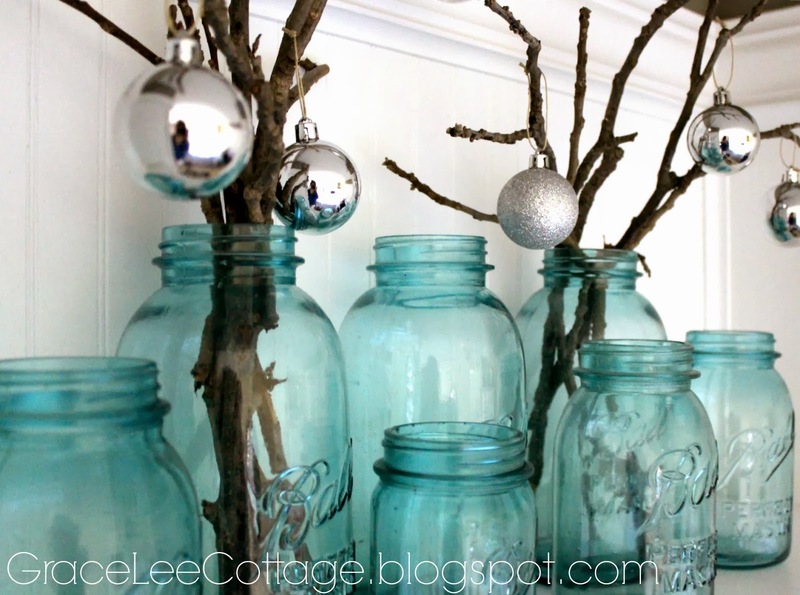 Love those blue mason jars with twigs and silver ornaments! WOW! You rocked it friend!!! A very merry weekend to you!! !